Stopping by Summit on Sixth last weekend, that adaptive re-use development in Koreatown, it looks like this 96-unit project is nearly finished. Also, it would seem that hardhat tours are underway. Last information that was out there: Prices range from $500,00-$1,500,000. 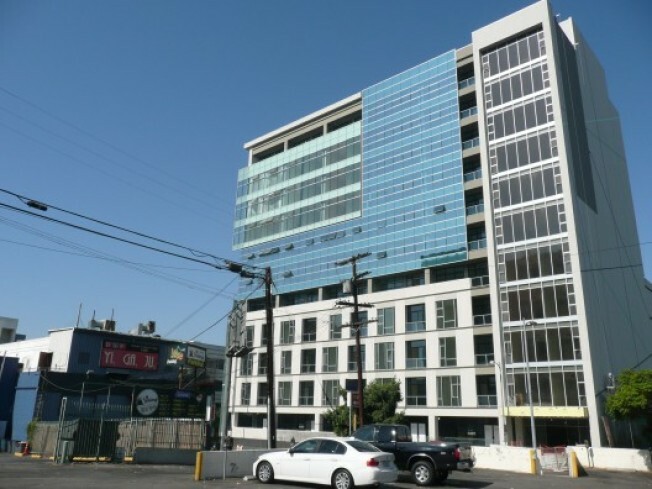 Perhaps Summit's competition is Solair, that other big Koreatown development (prices at Solair, according to a May post, range from $700,000 to $2 million). But the one worrisome thing about this project? The views. Basically, a sea of parking lots surround this project. And it would seem the best views may be from the back units (the ones facing the hills). On the upside, there are probably many locals who will appreciate living so close to the Vermont/Wilshire subway.